I put one out front of my apartment and 3 stray cats were each taking turns rolling around with it for the last week every evening.Great for any friends cats. These fun catnip toys will interest your cat for hours. No matter the size of your furry feline, these toys are pure entertainment. 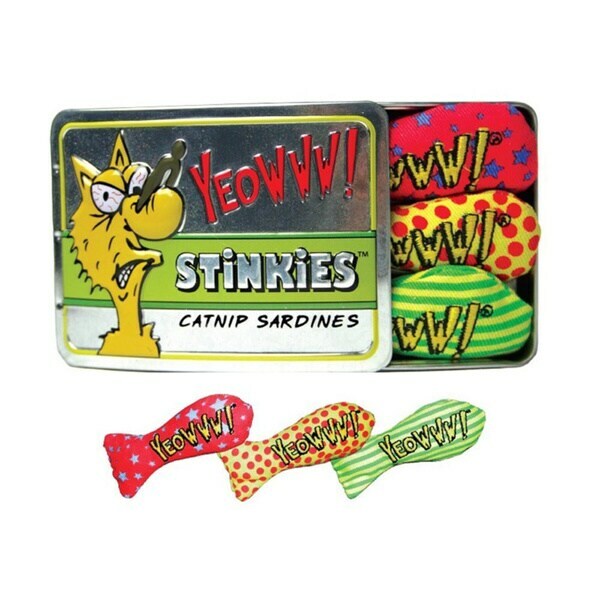 My cats go crazy for all of the Yeowww toys - especially these catnip sardines! They play with these toys longer than any other toys. The Yeowww cigars are also a big hit with my guys. Out of all the toys that I've purchased for my kitty, I have never had catnip toys for no reason, but these were a hit. He plays with these for so long and turns into a playful little kitten again. I recommend these for sure! Our girl LOVES these canned sardines They are AMERICAN made🇺🇸🇺🇸 Thank you DJT🇺🇸🇺🇸🇺🇸 Our five year old baby girl is rocking with these. Buy them!! My cats love to play with these. My cats love these!! And they are adorable!! My cat loves catnip toys.